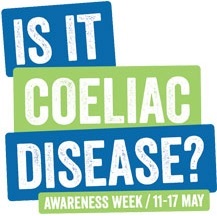 This week is Coeliac Awareness Week, 11th- 17th May, and everyone is blogging about it. Just visit twitter and search for #CoeliacUKAwarenessWeek. Now since I don’t have coeliac disease I thought I’d share the best blogs that I’ve seen from my favourite coeliac bloggers. If I’ve missed your blog off the list please email me or add a comment – it means I’m not following your blog yet so don’t be shy. Share the coeliac loving. We do have a lot in common, they and I. Whilst I have lots of allergies, one of them is an allergy to wheat which gives me reactions very similar to those that many people with coeliac disease get to gluten. I won’t go into details but let’s just say I am just coming back out of a particularly nasty ‘wheating’ caused probably by rather tasty but ill-advised-and-not-checked-for-wheat-chips. So don’t feel sorry for me, I should know better! From Wuthering Bites – Sponge: Gluten free review – I promise you pictures of cake, this blog post will make you feel hungry. The FreeFromFairy blogs this week about Bringing up a coeliac child. She shares some wise words of her own and some from her little one who already has a very positive outlook on dealing with her condition. She is one of the lucky ones to have had an early diagnosis but many suffer for years before finding out they are a coeliac. Deliciously Ella writes in the Daily Telegraph about How to go gluten free. KNORR gluten free gravy is also calling for chefs to join Thunderclap campaign – knorr gluten free gravy coeliac disease and raise funds for Coeliac UK Awareness Week. And finally, not about Coeliac Awareness Week but a great read for any coeliacs out there, Sue’s Coeliac Diary on the Foods Matter website is packed full of funny observations, experiences and learnings of living gluten free, traveling and being a foodie. So are you going gluten free? Do you believe it’s a healthier choice? or are you a coeliac? How long did it take you to get a diagnosis? Thank you so much for featuring my site! I really appreciate it!